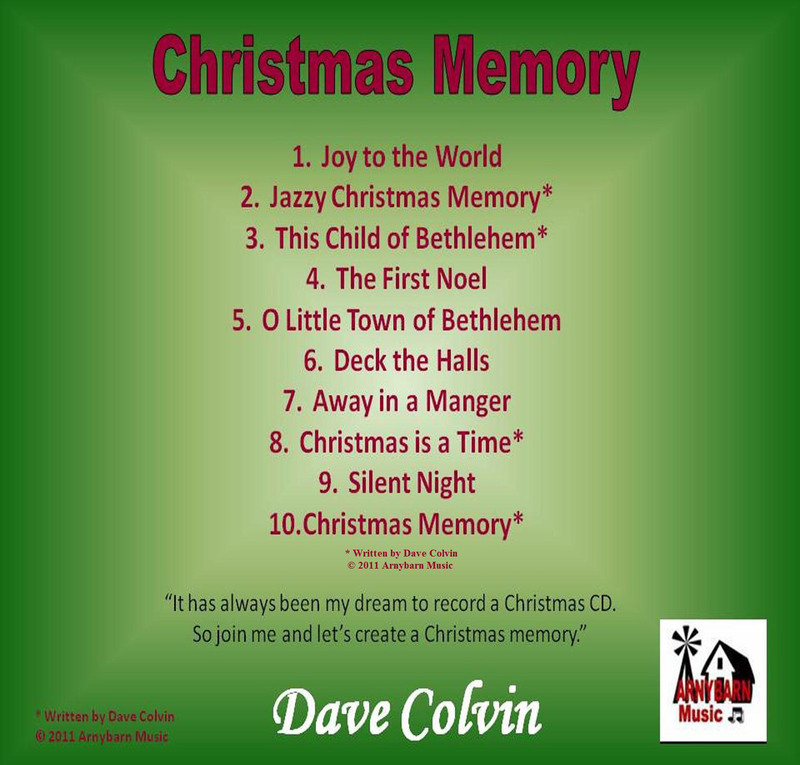 Dave Colvin’s 1st Christmas CD!! 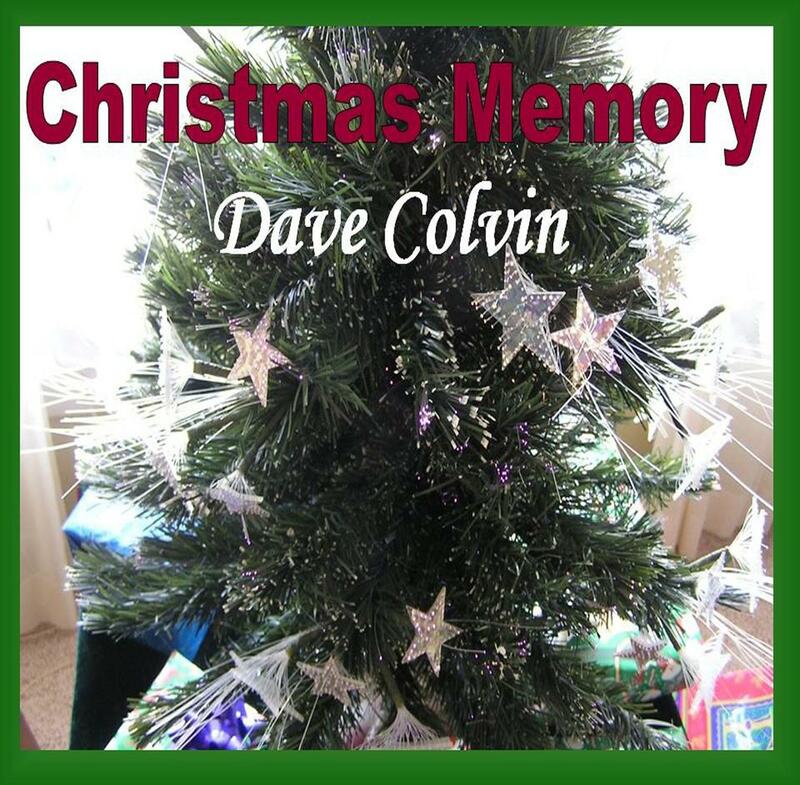 Dave Colvin | Christmas Memory | CD Baby Music Store. Hope you enjoy my first Christmas CD “Christmas Memory”!! Happy Holidays! The Story behind “This Child Of Bethlehem”! In late 2007 I was walking past our stereo and happened to glance down. On top of the turntable was my copy of the late/great Kenny Rankin’s Christmas CD. On the cover is a depiction of the three wise men and the Star of Bethlehem. I stopped in my tracks! “One of these days…”, I thought, “I need to write a new song about the three wise men (kings)” As far as I knew the most famous song was “We Three Kings”. So inspired, I went over to my 100+ year old grand upright piano and started playing some chords. One thing I learned from watching Paul McCartney discuss the songs he wrote for his “Chaos & Creation In The Backyard” CD – he allows himself to throw out phrases while playing and see where it leads him. So in thinking about the three wise men I sang, “One brought gold…..” “Hmmm” I thought, I know what the next lines will be! “One brought Myrrh…” (I had to look up how to spell that one.) The song really almost wrote itself! 2007 was a turning point for me as far as my songwriting is concerned. I am not sure why but beginning with a song I wrote in August called “Change The Way” there was a maturity and growth to my writing that had not been evident prior to that song. It was immediately followed by another song co-written by my Wife, Debbie, called “Gently Falls” which now can be heard in the Carbon Creek episode of season 2 of the TV series “Star Trek: Enterprise”! So on December 15th, 2007 I finished “This Child Of Bethlehem” and asked Debbie to come in to hear it. With the old upright I must have my back to her so I wasn’t able to see her reaction as I was singing the song. When I finished, I turned around to discover she was wiping tears from her eyes! I asked “What’s the matter? Was it that bad?” She chuckled and said, “No. it’s BEAUTIFUL”!! Singing a capella, my voice really carried in the nearly empty sanctuary! They all thought the song was very good! Since then it has been my dream for the song to become a Christmas time standard! The track you hear was produced by Kent Goodson of Digitracks Demo Service here in Nashville. Kent has done many of my demos over the years. The wonderful fiddle you hear in the song was played by Suzanne Rohrer a.k.a. The Fiddle Queen! Last year, I re-recorded the vocal and added the song to MY first Christmas CD “Christmas Memory“! I had always wanted to make a video of the song but could not find the right images to make it the best it can be. I recently discovered a new website called www.FreeBibleImages.org that allows the downloading of their images as long as they are used to tell the stories of the Bible accurately! The photos are perfect for the song I believe! Please enjoy the song/video – feel free to share it on your Facebook or websites or email it to family/friends! I wrote it to be heard and share the story of the 3 Wise Men who followed a star to find Jesus! Don’t forget to comment below as well!